Basketball: The St. Francis women’s basketball team is set to take on local rivals, the LIU Brooklyn Blackbirds today in the Barclays Center. 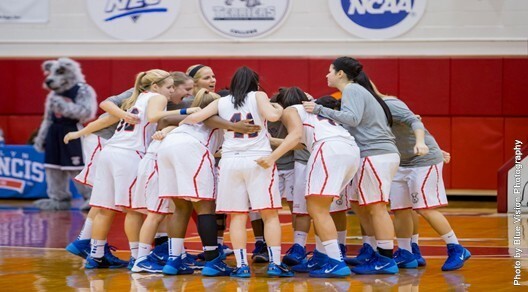 The St. Francis Terriers will be looking to improve their NEC start to 3-0 today with a win over LIU Brooklyn. The Blackbirds come into the matchup fighting for their first NEC win of the season. Last season, St. Francis Brooklyn won the 20th annual “Battle of Brooklyn”, 69-58, where Sophomore guard Leah Fechko scored a career-high of 18 points against LIU Brooklyn and was named the “Battle of Brooklyn” MVP. In more recent news, The St. Francis Brooklyn women’s basketball team ranked among the top-25 in a national basketball poll for the first time in history. They were ranked #25 in the latest CollegeInsider.com Top 25 Mid-Major Poll. LIU Brooklyn leads the all-time SFBK-LIU Brooklyn series, 47-22. The Terriers actually went on to sweep the Blackbirds last season in their two meetings. The Terriers finished last season at 11-19, with a 8-10 NEC record. They have already matched that win total so far this season, holding an overall 11-2 record and are currently on a seven game winning streak. The lady Terriers only losses have come to St. John’s University and the University of Miami. The Blackbirds have an overall 2-11 record so far this season and are currently on a two-game losing streak. They have most recently fallen to the Mount St. Mary’s Mountaineers, 63-62 on Monday. LIU Brooklyn led for majority of the the second half, but lost the game during the final 27 seconds due to Mount’s Jacqueline Brewer hitting two clutch three-pointers to seal it for them. LIU Brooklyn currently has two players averaging in the double digits. Senior guard/forward Cleandra Roberts ranks third in the NEC in scoring with 18.2 per game. Roberts is shooting 46.8% from the field and is pulling down 7.9 rebounds per game. Sophomore guard Sophie Bhasin is another player the Terriers have to watch out for. Bhasin was named to last years NEC All-Rookie team and is currently averaging 10.6 points per game while shooting 33.7% from the field. The Terriers as a team are shooting 42.1% from the field and 38.1% from the outside. Their top two players, Junior forward Jaymee Veney and Junior guard Eilidh Simpson, together are shooting an average of 46.4% from the field and 44.9% from the outside. Today’s game marks the first-ever meeting between the two schools inside the Barclays Center and it is also their first matchup against each other this season.